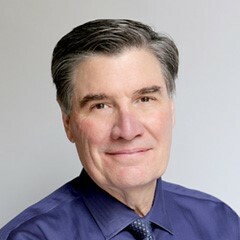 Michael A. Tompkins, PhD, ABPP is a licensed psychologist and board certified in Behavioral and Cognitive Psychology. He is co-director of the San Francisco Bay Area Center for Cognitive Therapy, Assistant Clinical Professor at the University of California at Berkeley and a faculty member of the Beck Institute for Cognitive Behavior Therapy. He specializes in the treatment of anxiety disorders, mood disorders, obsessive-compulsive spectrum disorders, and sleep disorders in adults, adolescents, and children. He is the author or co-author of nine books, including My Anxious Mind: A Teen’s Guide to Managing Anxiety and Panic (with Katherine Martinez) (Magination Press, 2010), which is a Magination Press best seller, as well as The Stress and Relaxation Workbook for Teens: CBT Skills to Help You Deal with Worry and Anxiety (with Jonathan Barkin) and The Insomnia Workbook for Teens: Skills to Help You Stop Stressing and Start Sleeping Better (with Monique Thompson). Dr. Tompkins serves on the Advisory Board of Magination Press, the children’s press of the American Psychological Association and has presented over 500 workshops, keynotes, and lectures on cognitive-behavior therapy and related topics to national and international audiences. Join Us November 2, 2019! © 2017-2018 by SOS4Students and Julia Morgan School For Girls. All Rights Reserved.